Note: Bluefin Parkland is now running an extremely aggressive “crowdsourced” gift card deal that frankly is one of the best fine dining bargains in the greater Broward and Palm Beach County area right now. For $100, you get a gift card worth $180. For $500, you get $1000, which you can split up into multiple gift cards if you like. If you’re a sushi fanatic like I am, you’d be crazy not to take advantage of this. The cards are good for up to one year at the Parkland location. One of the first priorities for us after moving to South Florida was finding our “local” sushi place. Sushi is one of our favorite cuisines, and when you live in a warm climate it also is one of the most refreshing after a long and hot day. 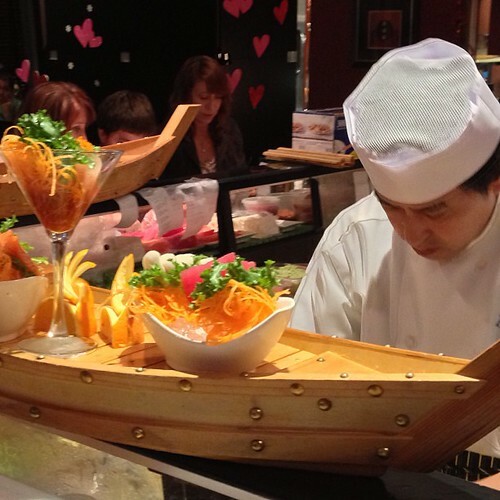 But high-quality, authentic Japanese-style sushi can be extremely difficult to find in South Florida. Heck, it was difficult enough to find in suburban New Jersey where we used to live, and it’s still something of a challenge in New York City unless you go to the most expensive and well-known places. We are lucky enough to live less than 10 minutes away from one of the best sushi restaurants in Broward County, if not all of South Florida, the Parkland location of Bluefin Sushi. Chef Yozo Natsui, Proprietor of Bluefin Parkland. In the last three years, I’ve been to a lot of soft openings and press events for various quick serve restaurants that are burger-themed. But since I’ve moved to South Florida I hadn’t yet attended one of these. Shula Burger is new QSR concept restaurant chain owned by Shula’s, the restaurant group founded by legendary Miami Dolphins and Baltimore Colts football coach Don Shula. The Delray Marketplace store, which is located in a brand-new upscale and entertainment-oriented shopping plaza, marks the fifth location of Shula Burger, all of which are located in Florida. There will soon be a sixth opening near Orlando. Frankly, there isn’t that much new ground you can cover in burgers. And there are so many burger places in South Florida that it’s easy to get lost in the crowd. So the bottom line is, are the burgers good, and are they good value? Is Shula Burger a champion, or a chump? Click on the “Read the rest of this entry” link below for more. 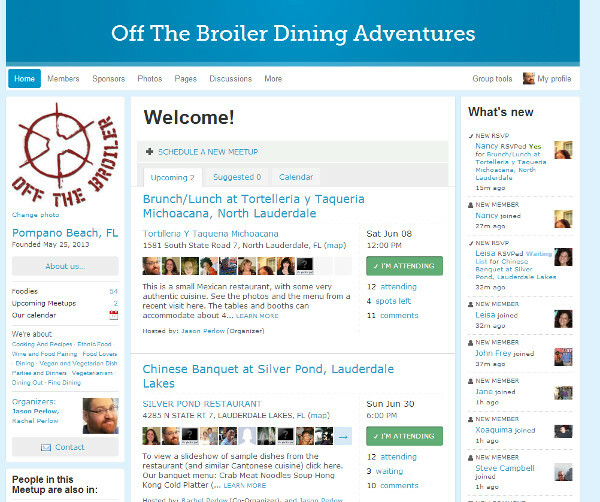 If you’re a foodie based in South Florida, don’t miss out on our new Meetup group, Off The Broiler Dining Adventures. My plans for this new group are ambitious — I intend to have group dinners and special food events at least once per month, at restaurants and venues selected by yours truly. Joining our Meetup group is free. As we did with previous dining events in the NY Metro Area, we’ll be planning dinners in Broward, Palm Beach and Dade County/Miami with set (as well as a la carte) menus and will need to secure reservations, so please be sure to notify the event organizers at least a day before if you need to cancel. You must participate in this group to be notified of upcoming events and to reserve your places at these dinners, as we have no other way of tracking attendance. You are currently browsing the archives for the Palm Beach County category.